If you're a guy that wants to make your hair curly, chances are it's a bit too short to use a curling iron. 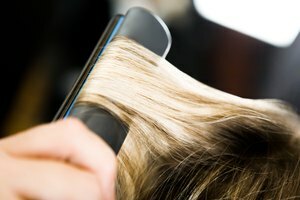 If you'd like to create a curly style that looks natural overnight, there is a simple technique you can use without having to use a ton of hair products or any fancy curling tools. 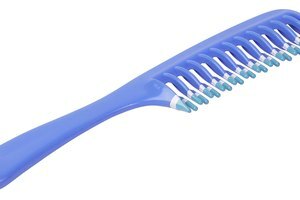 Bobby pins are very inexpensive and can help you create curly hair overnight. Comb a dime-sized amount of hair gel through damp hair. This will evenly distribute the small amount of gel so that you can harness the holding power of the product without causing your hair to look and feel heavy or greasy. Pull a one-inch section of hair up and away from the head. Curl the piece of hair around your finger, then slip the finger out and place two bobby pins over the curl, securing it to the head. 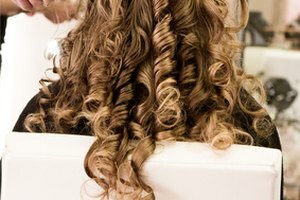 Repeat in one-inch sections until all the hair is curled and pinned to the head. Sleep with the bobby pins in your hair while it air dries. In the morning, remove the bobby pins and shake the hair out with your fingers.